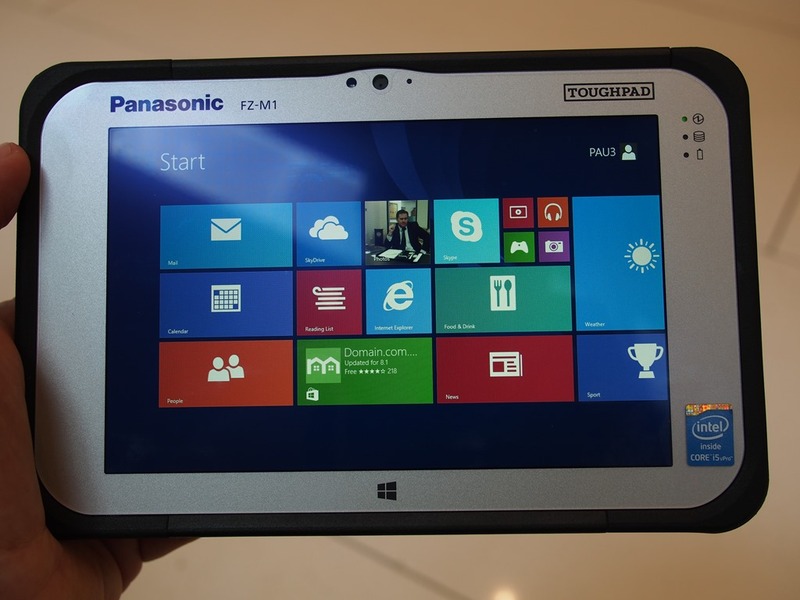 Only one month ago we saw Panasonic announce the new Toughbook FZ-M1 Rugged Windows 8 Tablet at CES 2014. On Friday, we got some hands on time with an actual pre-production Toughbook FZ-M1. Take a look at our pictures below! 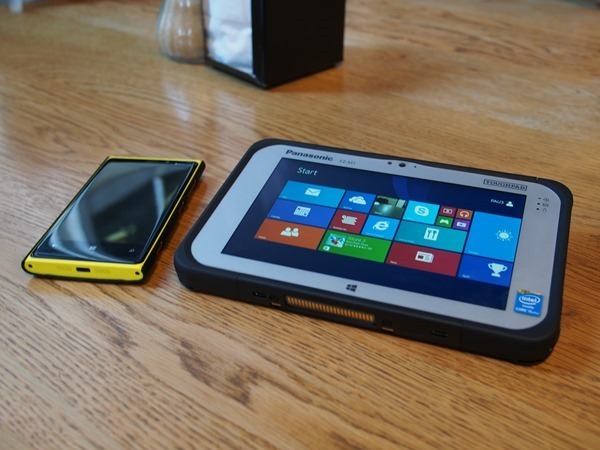 The FZ-M1 is fills a big gap in the rugged Windows 8 tablet market. 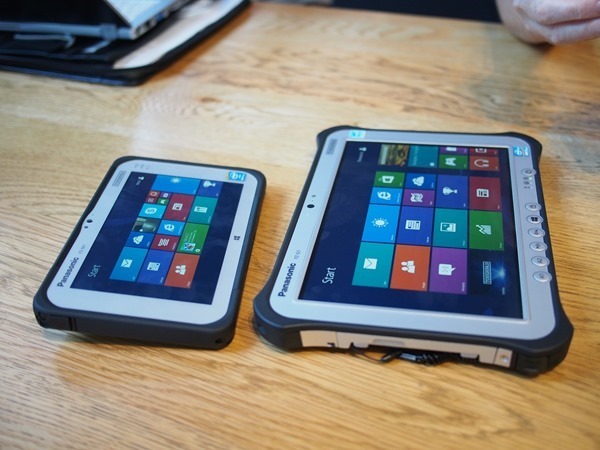 Many rugged tablet users are looking for a smaller, lighter device to offer to their workers. 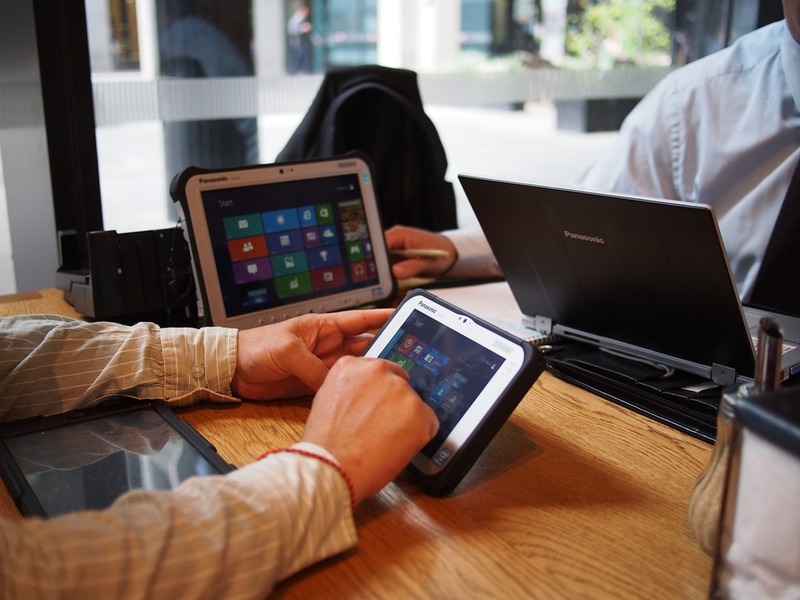 While there are lots of 10” rugged tablets available, companies have been pushing for a 7” device, but they still need the advanced features that only Windows can offer – Security, Management, Multi-User, Desktop etc. So with a 7” screen and weighing only around 600 grams, the FZ-M1 seems to fit the bill. 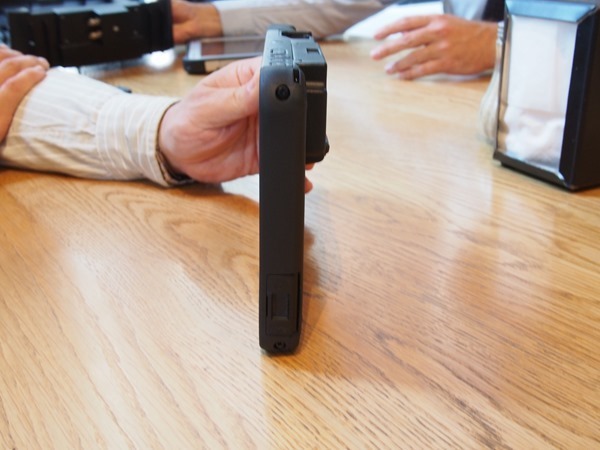 The FZ-M1 feels brilliantly light in the hand, but also incredibly robust. We’re told it’s even tougher than the Toughbook G1! When looking at the FZ-M1 next to my Nokia Lumia 920 (4.5” screen) you get a feel for how compact it is. The modular option bay at the back protrudes slightly, allowing the FZ-M1 to be seen easier when on a flat surface. The screen viewing angles are excellent all round. Like the FZ-G1, the FZ-M1 will come with an Intel Core i5 processor, albeit the later Haswell version. 4G will be offered on the device, a first for rugged tablets in Australia. The only thing that the FZ-M1 doesn’t have that we’d like is an Active Digitizer Pen. 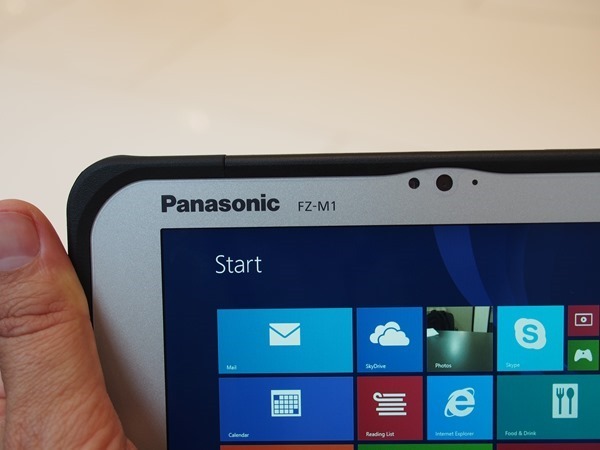 However, although the FZ-M1 will ship with Windows 8.1 on board, it will mostly be used away from the desktop. Companies looking at this type of device will be deploying touch friendly line of business apps in the Windows 8.1 modern app environment. Unlike the FZ-G1, there is no screen edge recess on the FZ-M1 which makes it slightly more comfortable with touch input. An optional factory installed integrated accessory port houses a Bar Code Reader, GPS, serial port or microSDXC slot. There will also be GPS and 3G antenna pass-through for those models fitted with those features. 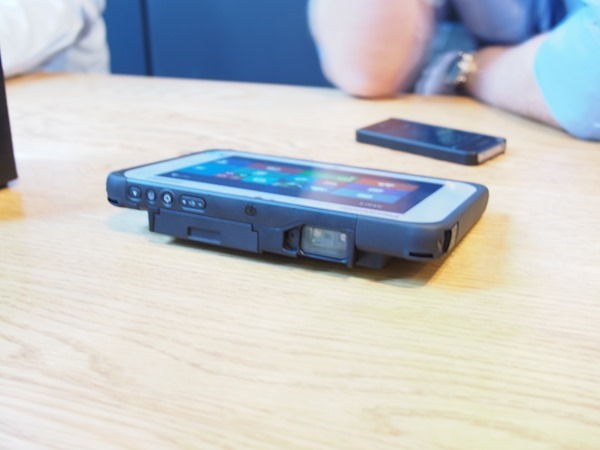 Like all Toughbooks, the FZ-M1 will be paired with a variety of peripherals like desktop and vehicle docking stations, carry options, batteries and chargers. Stock is expected around March – April. Contact us for more information.